What is the best monochrome laser printer in 2019? Home Technology What is the best monochrome laser printer in 2019? I have been in the market for the best monochrome laser printer for home use and small office use. I had a few requirements for this unit. It has to work across multiple operating systems, including Linux and Windows. I needed a monochrome laser printer, with scanner and copier. I wanted a unit that I could buy toner and a drum for in the future. And, finally, I wanted WiFi and an Ethernet connection on it. The networking and black and white feature are common, but finding a machine that works with Linux can be a headache from time to time. I came across the Brother HL-23800W, which I have been using without issue for about 6 months now. 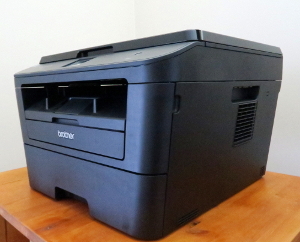 Read reviews of the good black and white laser printers for home office use on Amazon. When I came across the HL-23800W on Amazon as an inexpensive monochrome laser printer, I checked into it. The unit holds 250 sheets of paper and prints up to 27 pages per minute in black and white, with a double-sided print option. Also, it has a copier and color scanner. It allows for Wireless 802.11b/g/n, Hi-Speed USB 2.0, and WiFi Direct. (I use the Ethernet port.) Also, it has mobile connectivity for AirPrint, Google Cloud Print, Brother iPrint & Scan, and Cortado Workplace. The printer’s touch screen display is 2.7 inches. Rather than a glass display, it has a plastic coating on it. Depending on the setup you purchase, the HL-2300W comes with the TN starter toner, the TN-630 toner, or the TN-660 toner. The starter toner is good for about 750 sheets, the TN-630 is good for about 1,200 sheets, and the TN-630 is good for about 2,600 sheets. I prefer companies that support Linux — my operating system of choice. Brother has a web page on their site that does just that; it also offers downloads for the proper driver in rpm or deb formats. When I installed this compact laser printer in my home office, it was so close to the router that I used an Ethernet cable rather than WiFi. Also, I had system-config-printer-gnome and simple-scan installed on my Ubuntu machine, and it worked out of the box. The only thing I have notices with scanning is that I have to use simple-scan on the terminal. I can’t scan by using the display, which is not a big deal for me. My Brother monochrome laser printer has used 20lb and 24lb bond paper, and I have never had a paper jam yet. Just recently, I bought a TN-630 toner because my starter toner has about 25 percent left after printing through almost 500 pages. 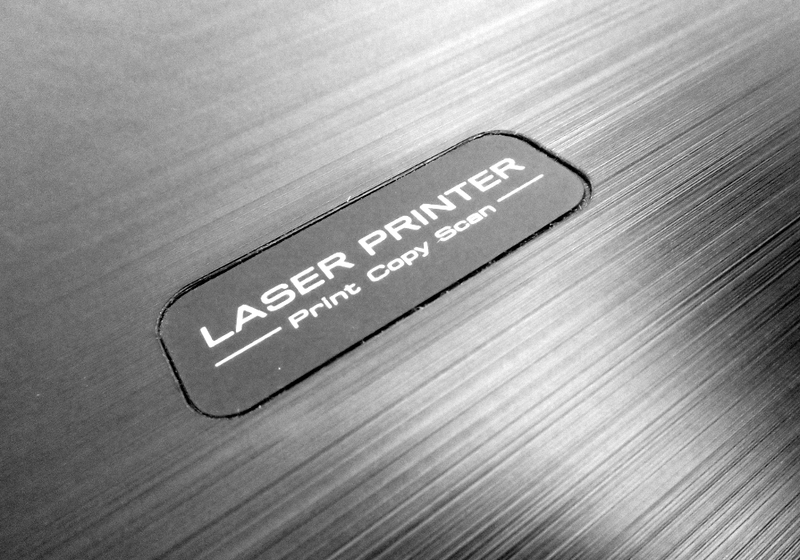 The plastic on the scanner and copier cover feels a little flimsy, but this is an inexpensive unit, which works well and is a good laser printer for the money. The benefit of a laser printer is that toner last so much longer than ink for inkjets. Now that laser printers are affordable, it makes sense to add one for home use and is essential for small office use. The HL-2380W does not require a lot of maintenance and is pretty user-friendly. The machine does have a few issues. There is no auto-document feeder and the unit is not designed for heavy office usage. Find the best monochrome laser printer on the market in 2019 on Amazon. Previous articleTable saw vs miter saw: What’s the difference? Next articleBest wrinkle free pants: Do they exist? Best LiPo charger buyers guide: Juice up that battery! Best Rugs for Dogs: Where’s Your Pooch Sleeping?